Here at Theme Park University, we celebrate any and all themed entertainment, regardless of whether it’s within the confines of a park. This Halloween, I decided to skip the traditional Orlando tourist offerings, like Mickey’s Not So Scary Halloween Party and Halloween Horror Nights. 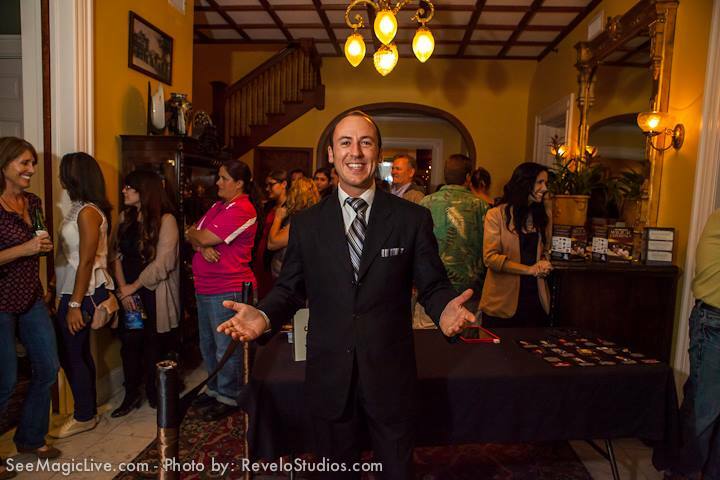 Instead, I opted to do a first-of-its kind event at the Dr. Philips House in Downtown Orlando called Magic Mansion. Ever since my Dad took me to see David Copperfield perform live at the Fox Theater in Atlanta when I was six-years-old, I was hooked on magic. I have seen Copperfield perform live over a dozen times and I seek out live magic performances whenever they come my way. I have been to the famous Magic Castle in Hollywood on three separate occasions and when I heard about the Magic Mansion event in Orlando, it sounded like the closest thing I could find to that type of atmosphere in my part of the country. 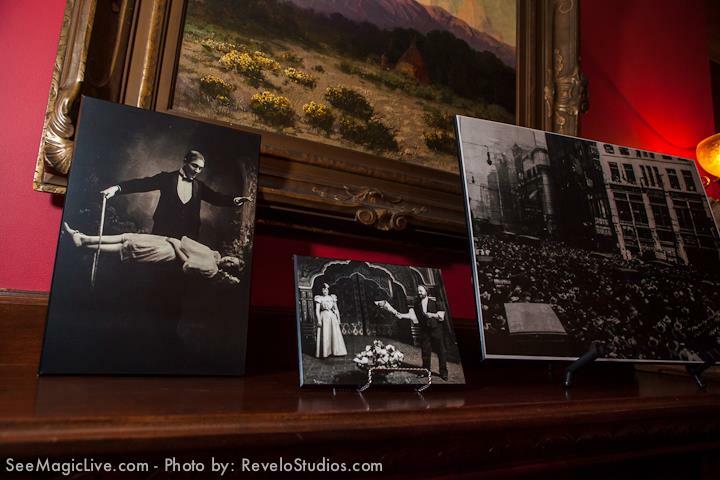 For the last four nights in October, the Dr. Philips House was host to over a dozen different magic acts scattered throughout the mansion. 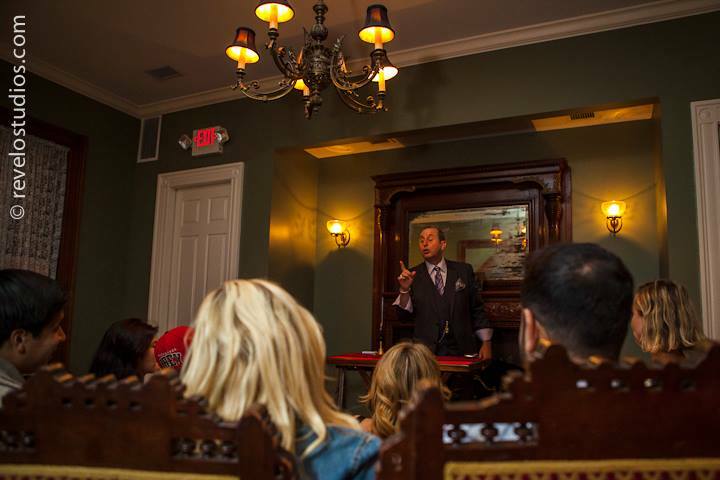 With its Victorian architecture, décor and furnishings to match, it was an elegant setting for close-up magic. Scattered throughout the house were great pictures of classic magicians like Harry Kellar, Howard Thurston and Harry Houdini. Each room featured one-to-two close-up magicians with around 20 chairs, so every guest had a good seat. Acts ranged from local favorites like Terry Ward, who is seen performing magic daily at Walt Disney World. 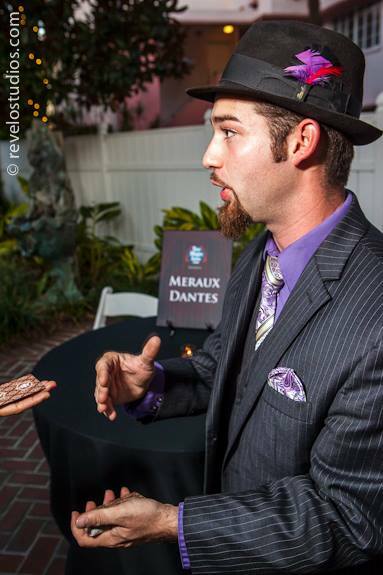 For me, the highlight of the evening was discovering a guy from New Orleans named Meraux Dantes. Wearing a fedora, a sharp grey vest and covered in tattoos that showed his passion for magic, this guy doesn’t just play a character. He lives it. His soft spoken, genuine and heart felt style commanded an audience like no other I have seen in a long time. People just gravitated towards this guy and he didn’t have raise his voice or use any fancy props. Meraux’s fork-bending routine wasn’t great for its technique, but for the grace and ease in how it was presented. As Penn Jillette often says, “It’s not the song, it’s the singer.” Seriously, look this guy up, he’s fantastic. The host for the evening and the man responsible for the event is Kostya Kimlat. 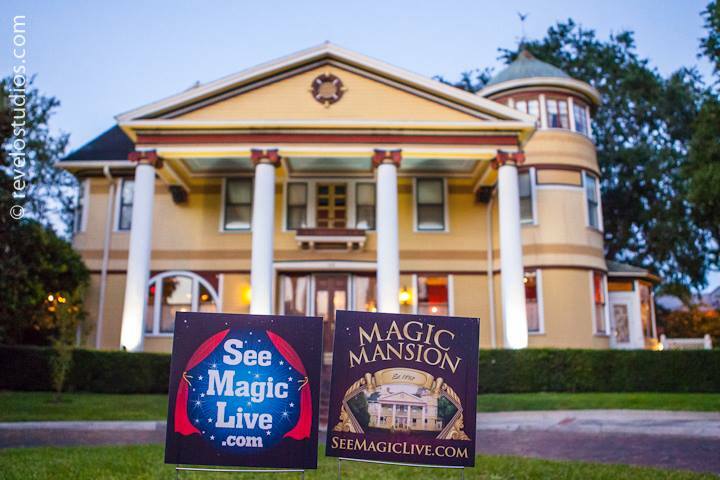 Magic Mansion in Orlando was Kostya’s idea and while he has done several events for See Magic Live, his own magic company, this was the first-of-its kind on this scale. 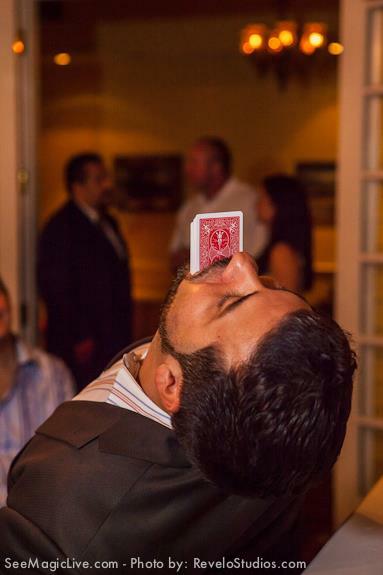 Kostya started Event Magic International four years ago as a magician himself. 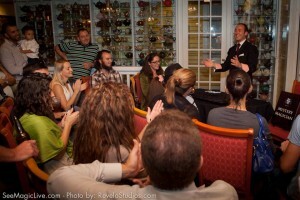 See Magic Live is a service that Kostya provides if you need a magician for any kind of event you can think of. If you are looking for a magician for a corporate gig, a wedding reception, to entertain patrons at your restaurant – they have got ya covered with a pool of talented folks like the ones seen at the Magic Mansion in Orlando last week. The event featured a station where you could grab a bite to eat and a cash bar to whet your whistle. At $20 a person for an evening of entertainment, I thought it was a steal. If you’d like to see more events like this in Orlando or even in your town… Kostya is looking to expand this idea and do it more often, but he needs sponsors. If you’re interested in sponsoring an event like this in the future, drop him a line at info@seelivemagic.com. For more stories on themed entertainment, follow Theme Park University on Twitter by clicking here and like our Facebook Page by clicking here. 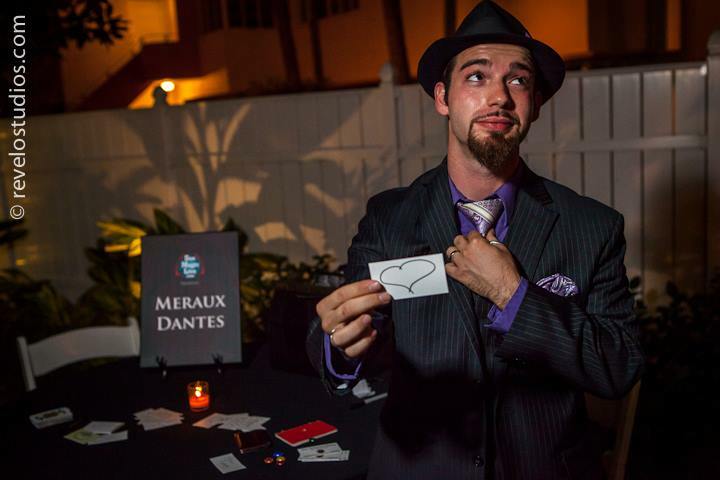 This entry was posted in Outside The Parks, special events and tagged close up magic orlando, Kostya Kimlat, Magic Mansion, Meraux Dantes, See Magic Live, Terry Ward. Bookmark the permalink. Trackbacks are closed, but you can post a comment.